WOHL has a full-time quality assurance staff to manage and monitor all laboratory activities. This staff is responsible for preparing quality control (QC) samples for routine and non-routine analysis as well as helping laboratory staff develop and validate methods for sample analysis. WOHL is accredited by AIHA LAP LLC for industrial hygiene, environmental lead and environmental microbiology analysis. 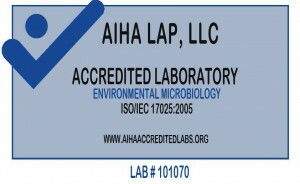 We are certified for Legionella by the CDC ELITE program. We are NELAC certified for asbestos in water analysis and routinely participate in numerous proficiency testing programs.